The heritage industry is a major and growing contributor to the global economy, employing increased numbers of skilled heritage managers. This degree offers a tailor made curriculum to develop the knowledge base and skills required from both the disciplines of Business and Archaeology to allow effective management of the world’s heritage. As a student on this programme you will be guided through modules to develop your understanding of the economic and legal principals within which heritage management operates across the globe, from Museum displays to site presentations and how heritage shapes national identities. This will be matched by education in theory and practice of assessing, preserving, presenting and mitigating the impact of development on our shared heritage. Your business skills will be developed in finance, marketing, project and risk management to provide a broad base suited to working in both the public (government) and private sectors. Graduates from this programme will be suited to work in a wide range of business and management roles in the heritage, tourism and construction sectors. The MSc in Heritage and Business Management course allows students to develop the skillset to be responsible for some of the countries most spectacular heritage sites. From National Trust properties, to country estates of immense agricultural and historical importance, this course prepares the student to be able to manage the daily running and operating of such sites. A course that prides itself on its industry recognised standards of excellence, producing the best candidates possible to prospective employers. The Masters in Business and Heritage Management course is designed for those who want a promising career in the heritage industry, whether it be in business management, tourism, construction or even agricultural management sectors. The heritage industry is a major and growing contributor to the global economy, employing increased numbers of skilled heritage managers. This degree offers a tailor made curriculum to develop the knowledge base and skills required from both the disciplines of Business and Archaeology to allow effective management of the world’s heritage. As a student on this programme you will be guided through modules to develop your understanding of the economic and legal principals within which heritage management operates across the globe, from Museum displays to site presentations and how heritage shapes national identities. This will be matched by education in theory and practice of assessing, preserving, presenting and mitigating the impact of development on our shared heritage. Your business skills will be developed in finance, marketing, project and risk management to provide a broad base suited to working in both the public (government) and private sectors. Graduates from this programme will be suited to manage stately homes, tourist attractions, national trust properties and museums. The University will at all times seek to operate admissions regulations that are fair and are in accordance with the law of the United Kingdom, and the University's Charter, Statutes, Ordinances and Regulations. ensure that admission procedures select students fairly and appropriately according to their academic ability and that the procedure is monitored and regularly reviewed. The heritage industry is a major and growing contributor to the global economy, employing increased numbers of skilled heritage managers. This degree offers a tailor made curriculum to develop the knowledge base and skills required from both the disciplines of Business and Archaeology to allow effective management of the world’s heritage. As a student on this programme you will be guided through modules to develop your understanding of the economic and legal principals within which heritage management operates across the globe; from Museum displays, site presentation and how heritage shapes national identities. This will be matched by education in theory and practice of assessing, preserving, presenting and mitigating the impact of development on our shared heritage. Your business skills will be developed in finance, marketing, project and risk management to provide a broad base suited to working in both the public (government) and private sectors. All students are able to take one additional module from elsewhere in the University (including languages) to suite their individual interests and career development. Graduates from this programme will be suited to work in a wide range of business and management roles in the heritage, tourism and construction sectors. Academic entry requirements: First or upper second class honours degree in any subject that has included assessed written academic work from a UK university in an appropriate subject or equivalent overseas/ professional qualification approved by the University in an appropriate subject. 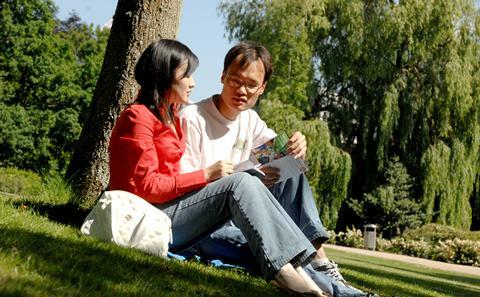 English language entry requirements: IELTS 6.5 overall, with minimum of 6.5 in reading and writing, 6.0 in listening and speaking, or an equivalent standard in other qualifications approved by the University. The key learning outcomes are covered by the core modules. Thus any student passing the taught component of the module will graduate with the postgraduate diploma with a relevant set of skills and those progressing through the dissertation will add additional depth and research skills required for the MSc level qualification. An optional module is permitted to allow students to pursue particular interests and shape their career development. Select a total of 30 credits from the following groups. You are strongly advised to choose an equal number of credits per semester. Other options are available and can be taken by agreement with tutors, subject to timetabling. Equipment During your degree you are likely to go on a number of fieldtrips and to take part in fieldwork. The exact number and nature of these trips will depend on your module and fieldwork choices. However, wherever and whatever you do you are likely to need access to waterproofs, sturdy shoes or boots, a sun hat and a small rucksack. For some sites you may be asked to have steel toed boots. For those qualified to do so, you may become involved in diving projects. In these circumstances you would normally be required to bring/hire your own mask, fins, snorkel, knife, exposure suit and dive watch (and if possible, dive computer). Graduates from this programme will be suited to work in a wide range of business and management roles in the heritage, tourism and construction sectors. These will include government positions in heritage bodies, private consultancy and non-governmental organisations. The business skills you gain on this programme will also be useful for a wide range on non-heritage business roles. This programme makes use of the full range of teaching and learning methods; from didactic lectures to student led seminars and professional project work. Care has been taken to develop a syllabus that will speak to a variety of learning styles and account for the varied backgrounds that students on this programme may come from. We have explicitly sought to integrate traditional academic modes of delivery with those best suited to subjects dealing with professional practice. Thus we have included seminars and group work as well as field trips to relevant heritage sites as part of the programme in addition to traditional lectures. Finally, those enrolled on these modules will also gain experience of client/contractor interaction through practical sessions with professionals from the field. On this course you will be assessed by a variety of means that suit the varied skills you will be learning and that are required to work within the heritage industry. These range from the preparation of professional reports, team and individual presentations and seminars (often to real clients/professionals) through to more traditional essays and examinations.